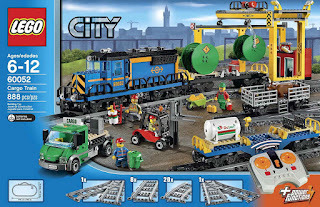 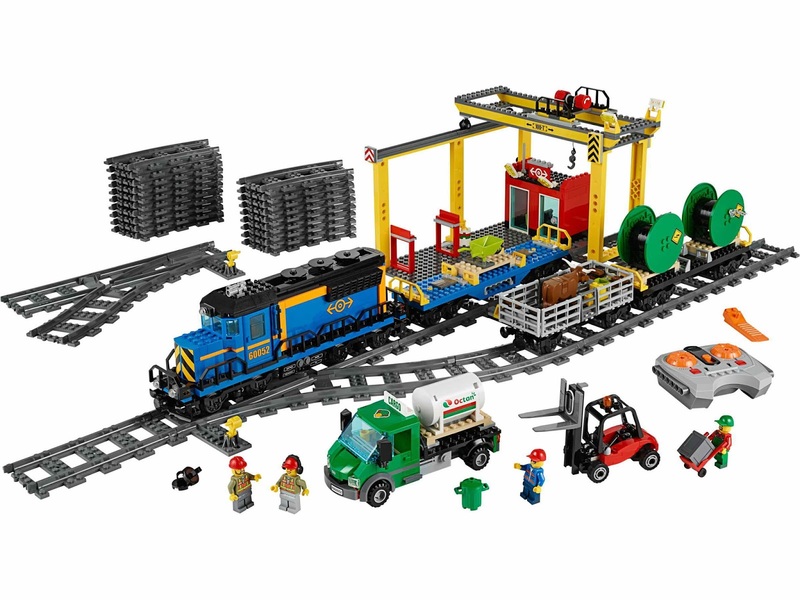 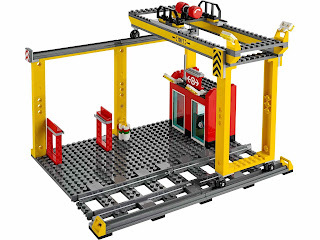 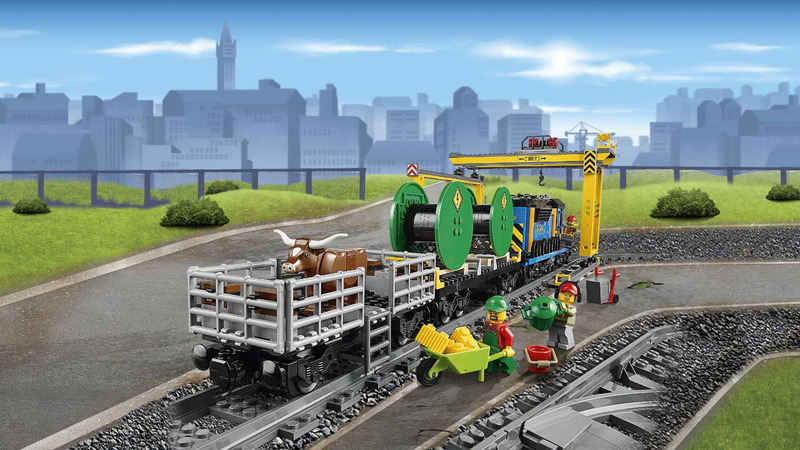 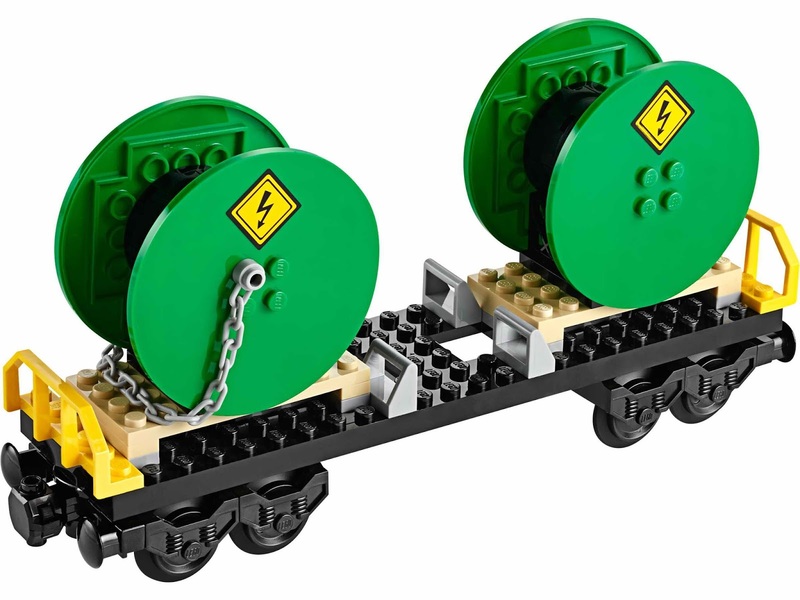 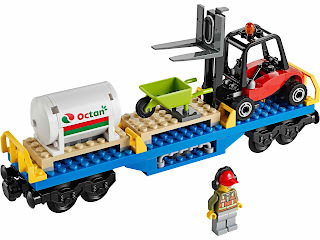 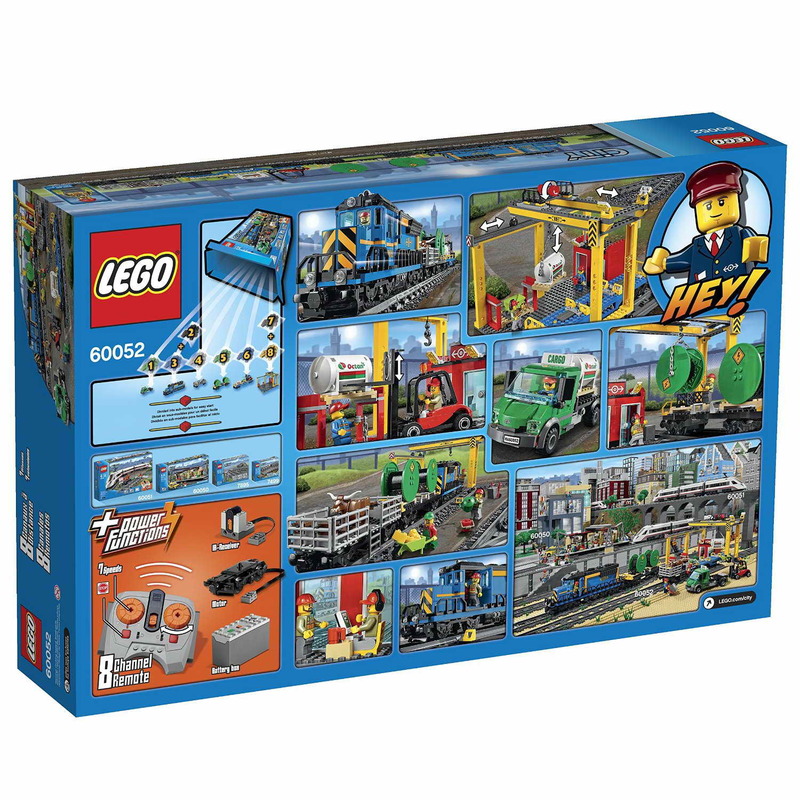 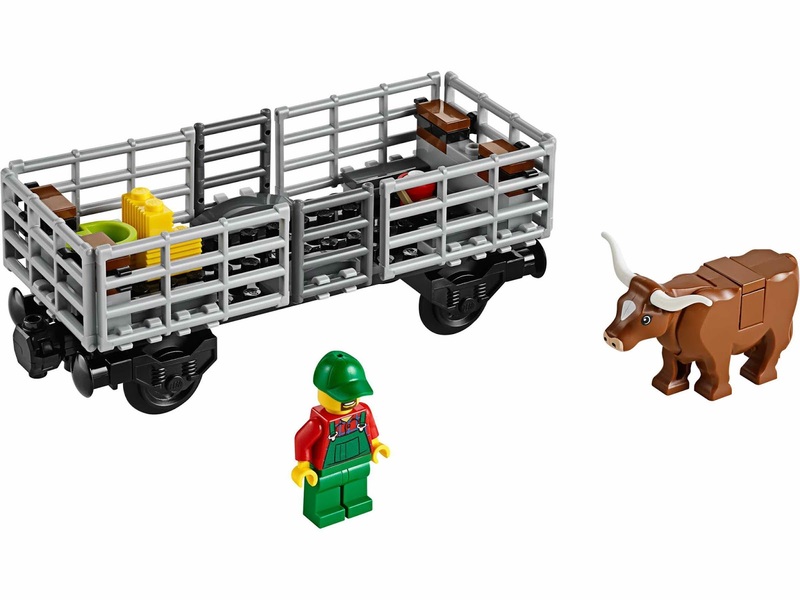 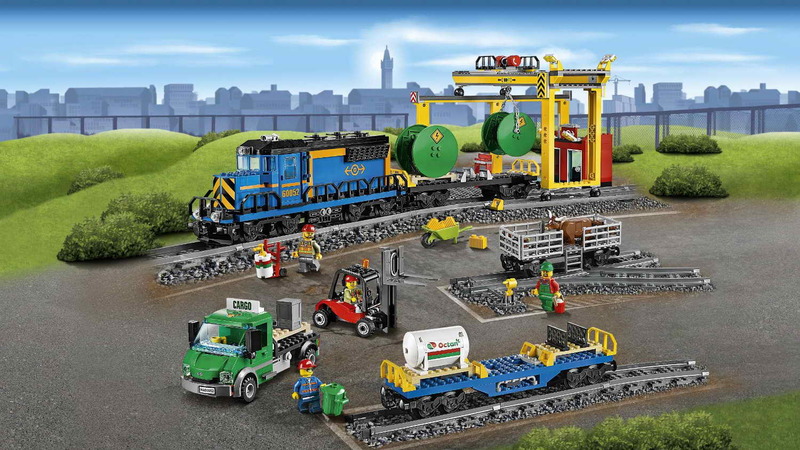 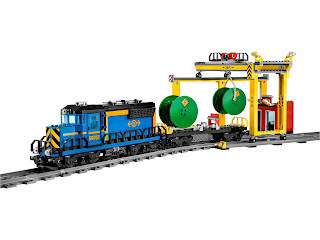 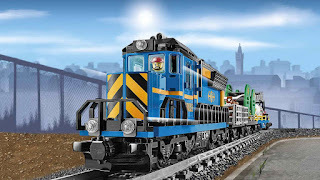 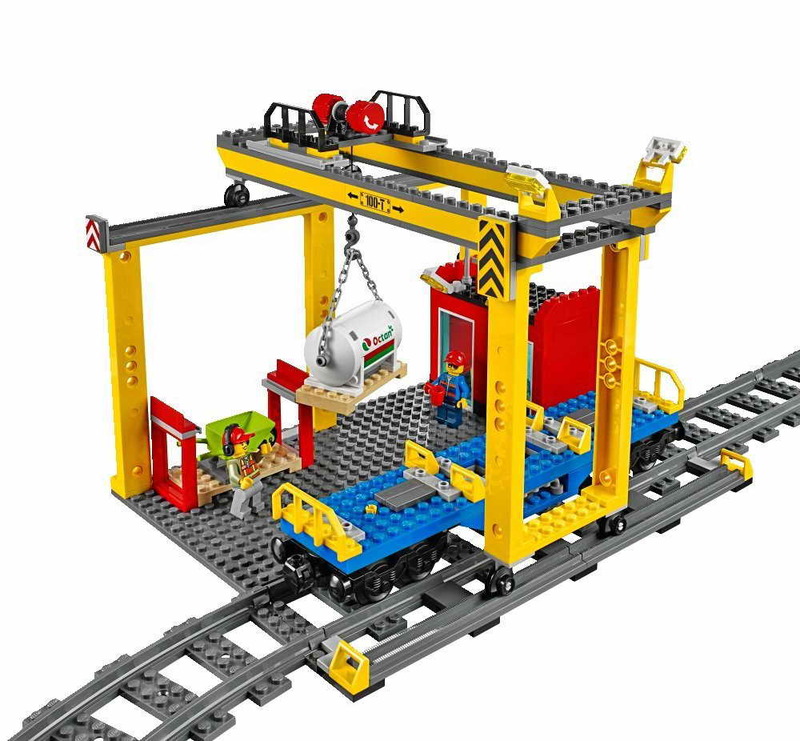 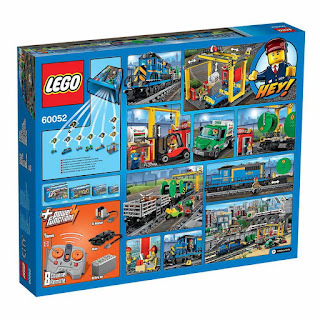 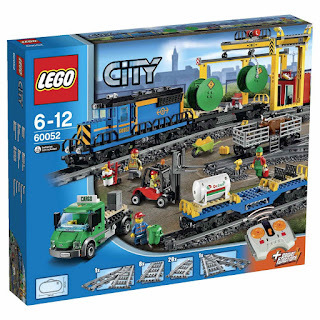 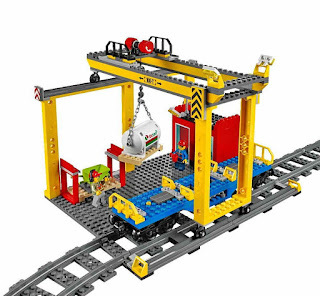 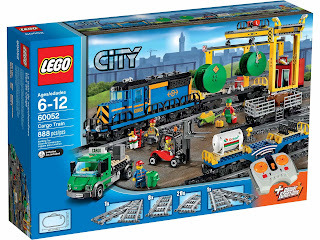 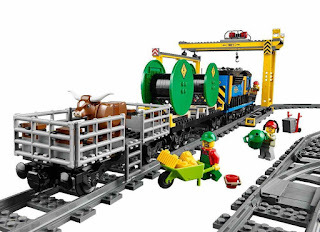 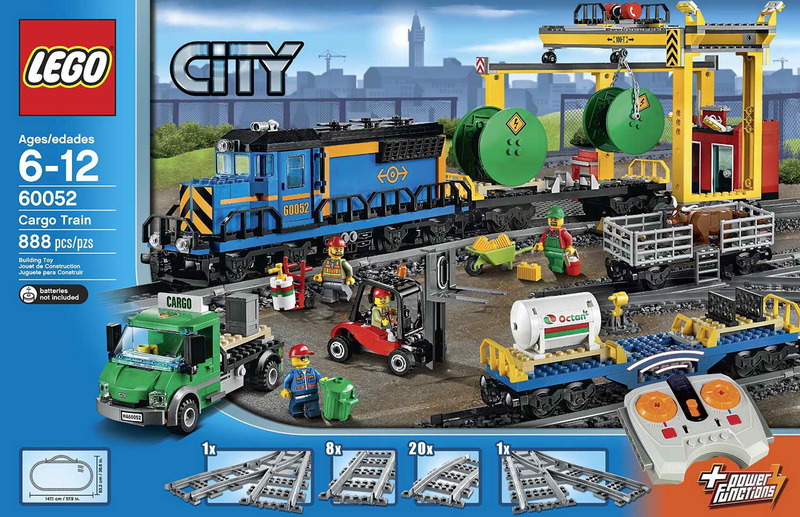 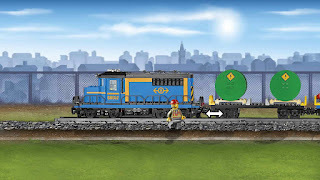 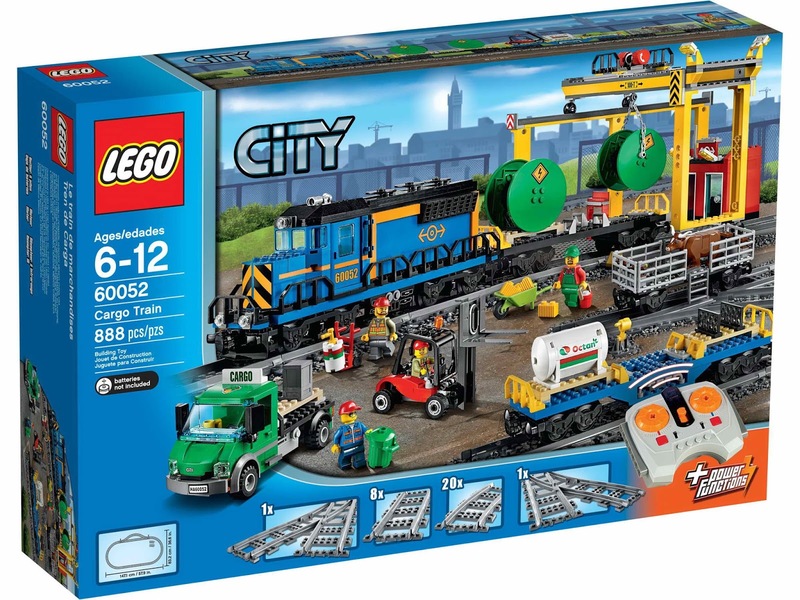 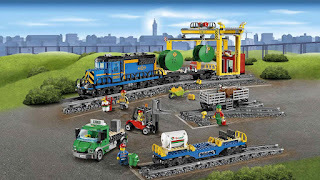 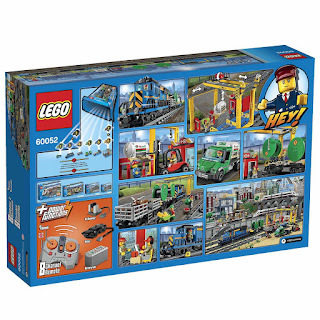 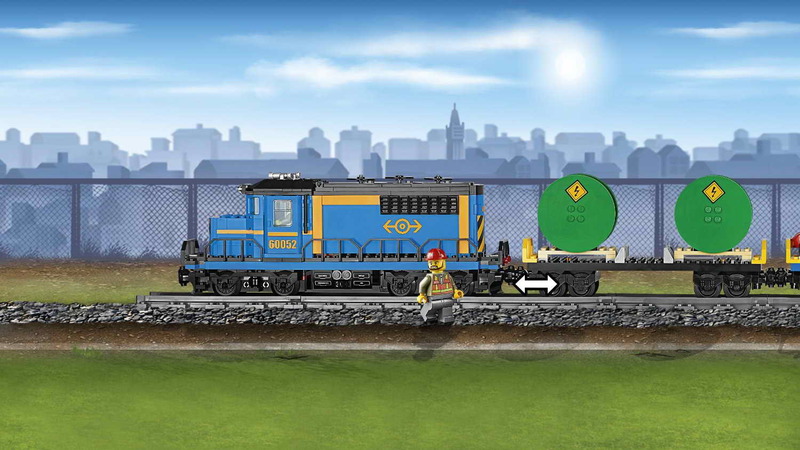 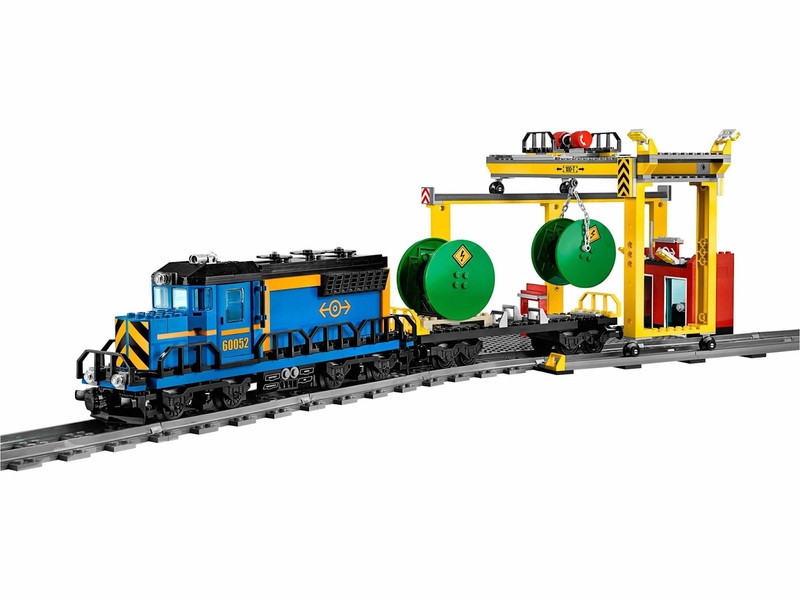 come with a cargo train with a motorized locomotive, a cattle wagon, a fuel wagon, a cable drum wagon, a truck, a forklift, a cargo station and a full circular track with 20 curved rail tracks and 8 straight rail tracks. 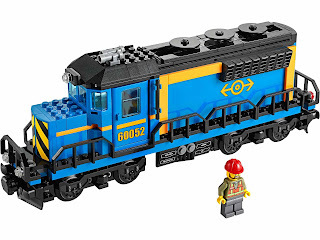 the train is operated by 7 speed infrared remote control. 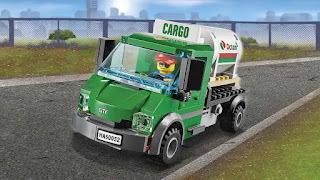 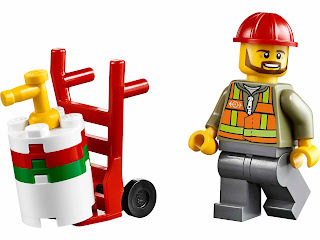 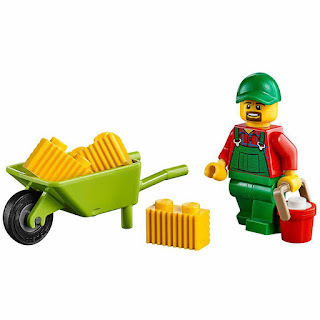 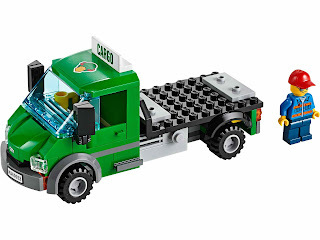 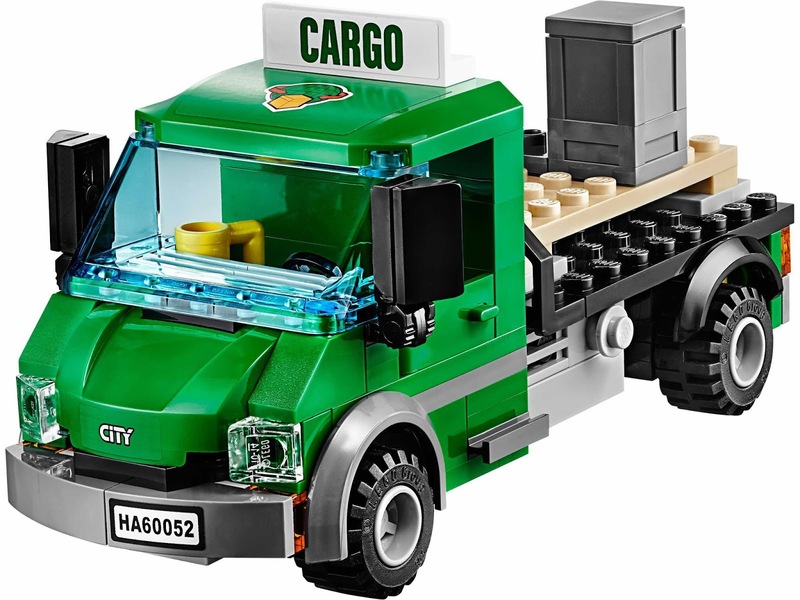 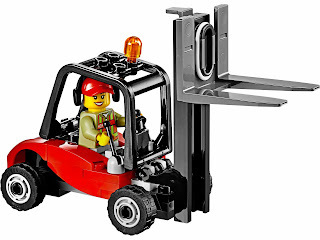 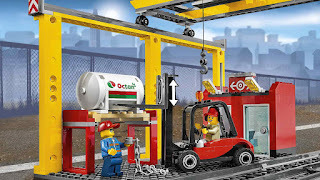 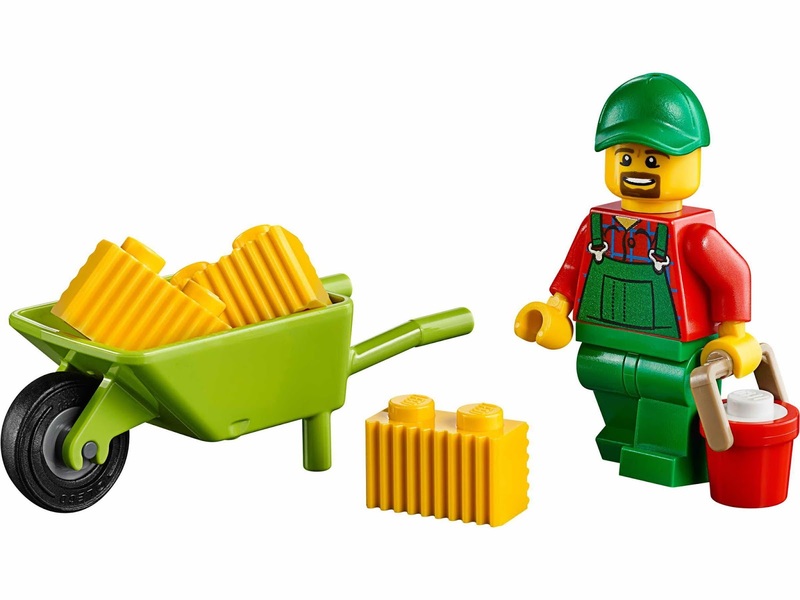 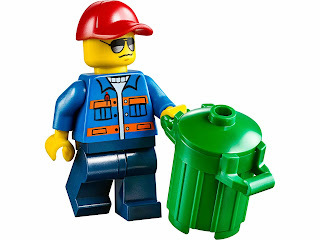 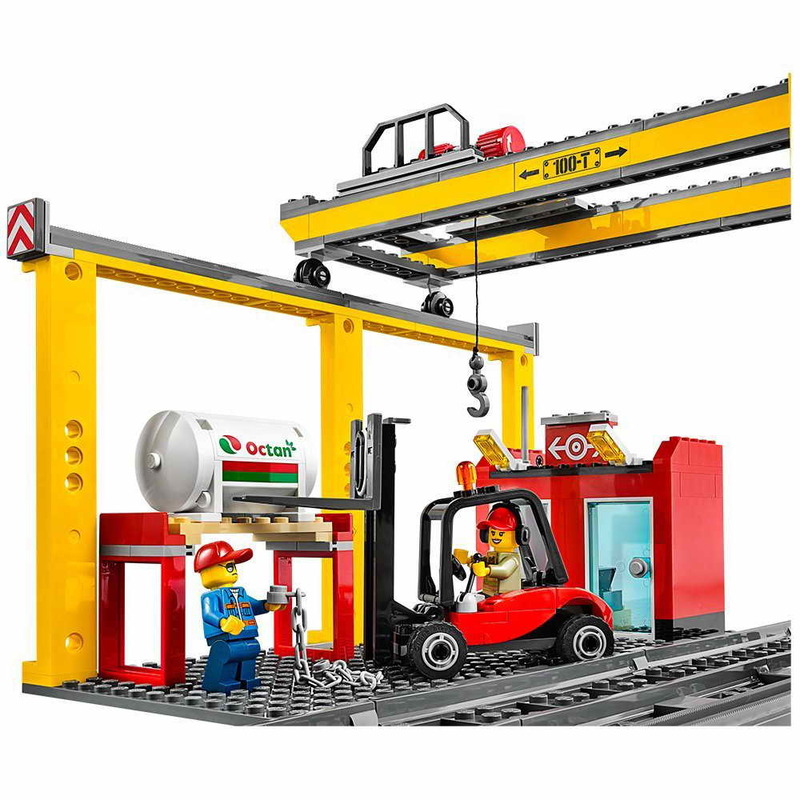 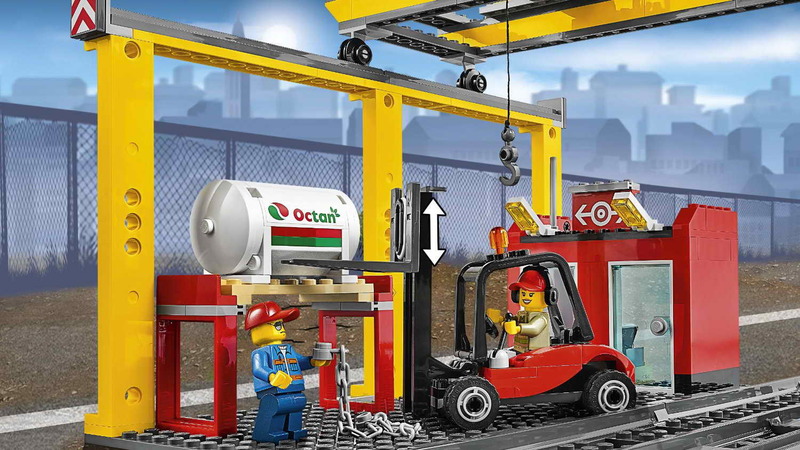 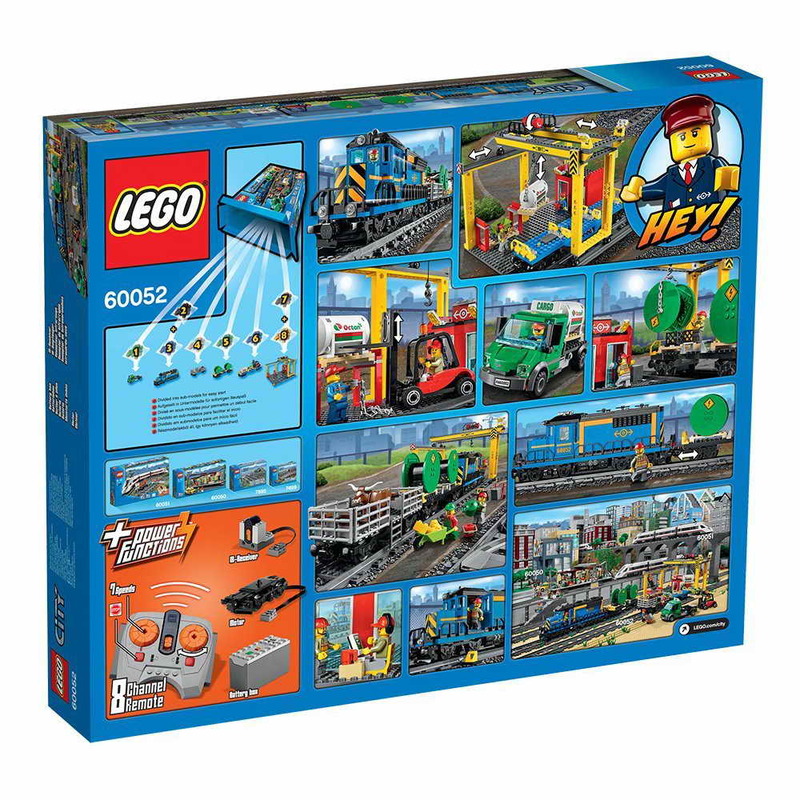 minifigs included a conductor minifig, a truck driver minifig, a forklift driver minifig and a farmer minifig.